Say goodbye to rattling old-style fans this summer. The Dyson AM06 Desk Fan is a whisper quiet breath of fresh air and a dream come true for parents of small children. As the weather heats up, we’ll all soon be looking for solutions to circulate air around our homes while they’re shut up tight for summer, which often means a fan for the baby’s room. 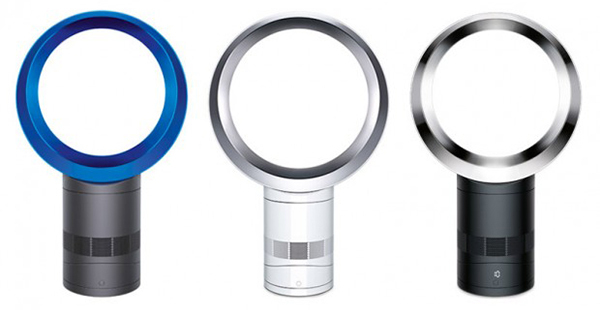 When buying a fan for the nursery, we love the function and contemporary design of the Dyson AM06 Desk Fan. But here’s the best bit – it’s recognised for being so blissfully quiet, it’s been awarded the Quiet Mark. 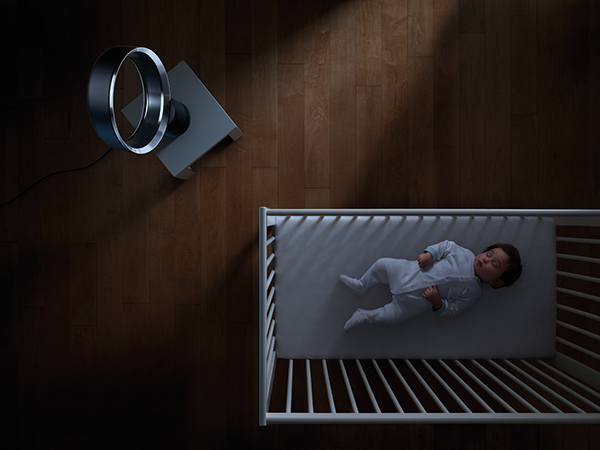 Such a fan is a godsend for ensuring sweet dreams for those sensitive babies that wake at the slightest noise and for kids who are just plain attracted to playing with fans – you barely hear the Dyson AM06 to know it’s there. 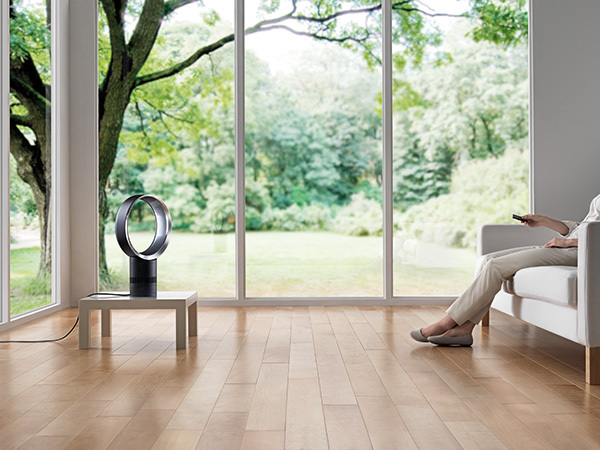 A perfect whisper quiet option for creating a cool breeze in the nursery, the Dyson AM06 is remarkably 75 percent quieter than the previous generation of Dyson fans (even while oscillating), including the AM01 model. Not only that, but the redesigned, improved airflow path means better efficiency, which is reflected in the family power bill because the Dyson AM06 uses 40 percent less power than the previous generation. Safety is another hallmark of Dyson’s fans. 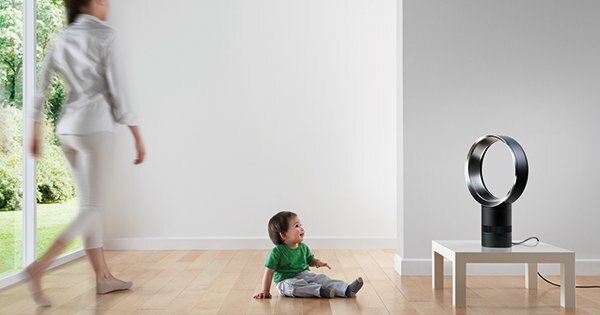 The bladeless design of the Dyson AM06 ensures no parental angst when young children are close by, no fingers are at risk and no pencils (or other objects) can be poked through a wire grill into a moving blade, not to mention such a design is easy to clean. Using Air Multiplier technology, the AM06 has an impressively powerful airflow in an instant and has both oscillate and a touch tilt function. If you like a bit of airflow to help drift off to sleep or want a comfortable night’s rest on a sticky summer evening, you’ll like the handy Sleep Timer that can turn it off after preset intervals ranging from just 15 minutes to a whole nine hours. Most of these features come at the push of a remote control button, very convenient if your hands are busy rocking a sleepy baby or if you’re temporarily confined to your nursery chair. If ever there was a brand synonymous with both quality and ingenuity, it hands-down must be Dyson. There is seemingly nothing the clever Dyson crew leave off the list when inventing and improving their machines, improving efficiency, function and design every time. The Dyson AM06 is available in three different colour variations – black/nickel, iron/blue and white/silver. Priced at $449, it can be purchased directly from Dyson.